Pear tomato paste is made from pear tomatoes. Tomatoes are washed, sorted for quality, chopped, enzyme deactivated to preserve quality, then strained to obtain the necessary juice for paste production. The strain is then evaporated under vacuum to a concentration of 24% Natural Tomato Soluble Solids. 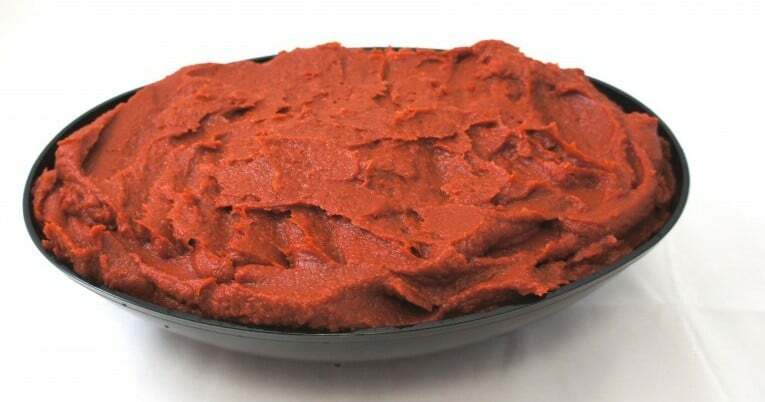 The product is hot filled to ensure Tomato paste is a standardized product and shall conform in all respects to the Standards of Identity for Tomato Concentrates.